A great Fall event in the Cuyahoga National Valley Park. Double loop course provides fast times. A family friendly event. Half Marathon and 2 Person Half Marathon Relay. UPDATED 10-18-12 New this year, Full Zip Mens and Womans Jackets while supplies last. Womans jackets are sold out. We have limited fleece jackets remaining and some tech shirts. Custom Buckeye State of Ohio Finisher Medals to all Finishers. Packet Pick up and late registration on Sat Oct. 27th at Cuyahoga Falls Natatorium from 10am 2pm. 2345 Fourth Street Cuyahoga Falls, OH 4422, 330-971-8080. Packet Pick up at race site on Oct 28th starting at 6:30 AM. 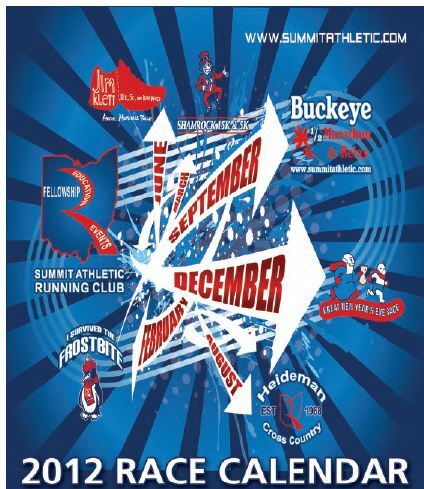 Come join the fun of one of Northeastern Ohios Oldest Half Marathons.